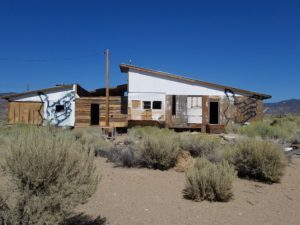 While driving back from Burning Man one year, I took an alternate route and stumbled on the fabulous remains of this exquisitely decayed brothel baking silently in the high desert sun just off U.S. 6 about an hour from Tonopah…just across the California/Nevada state line. 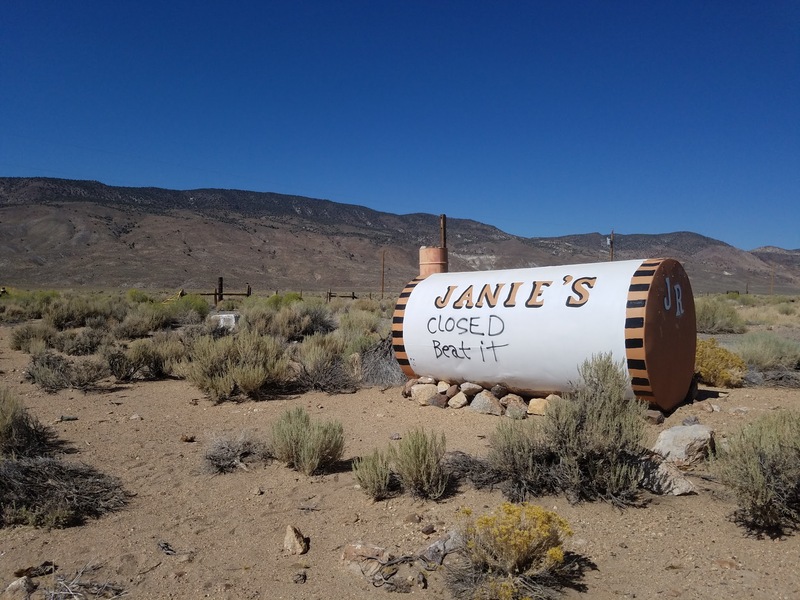 A water/propane tank out front emblazoned with the words “JANIE’S/ CLOSED/ BEAT IT” initially caught my eye; what better invitation to explore the old buildings visible in the distance? 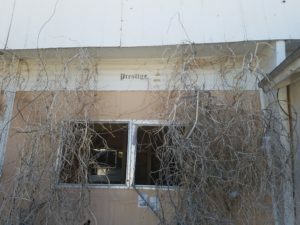 The only other signage were the letters “J.R.” painted on the tank, so I wasn’t sure what type of facility this had been — my hunch was brothel, but it could also have been a roadside cafe or motel. 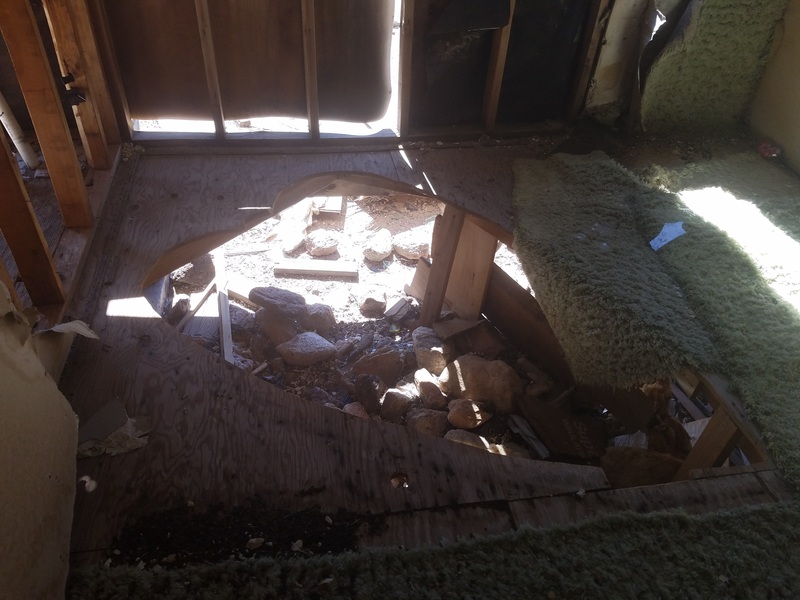 The only way to find out was to go in and explore a little! 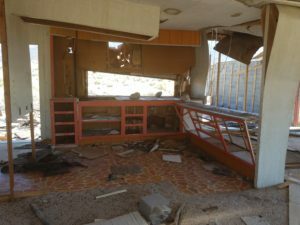 The building itself is basically made from two long trailer homes sort of stitched together with plywood annexes in between and on either side. 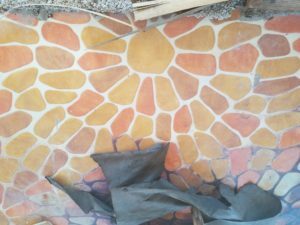 The whole place was carpeted in deep pile shag carpeting — orange, red, and green — which dated it to the ’70s (or ’80s, since this is the textbook definition of the boonies, and trends are slow to change out there). 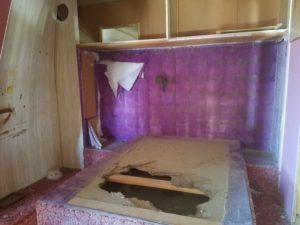 But the carpet extended up the sides of the bed frames, and even up the walls in some of the rooms….which definitely screamed BROTHEL! 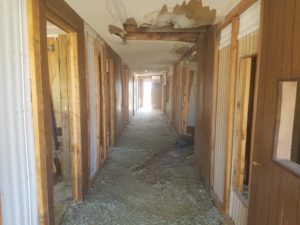 I still wasn’t sure, though, and made my way down a long hallway lined with simple bedrooms. 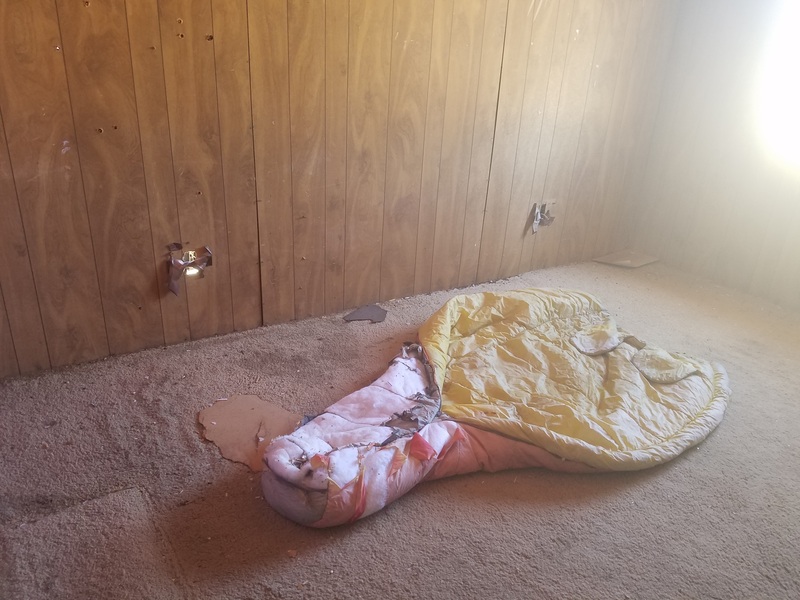 They were all trashed, and had been vacant for quite some time, but you could see where each room used to have a bed — and pretty much nothing else! No bathroom, not even a toilet — so that ruled them out as motel rooms. Aside from broke backpackers….who stays in a motel room with no bathroom?! At the end of the hallway, my suspicions were finally 100% confirmed by the appearance of a sort of fantasy suite: floor-to-ceiling green shag carpeting (on the walls, too!) and a giant bed with purple quilted crushed-velour headboard, overlooking a heart-shaped hole in the floor where a Jacuzzi tub clearly had sat. 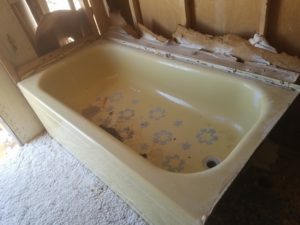 This was DEFINITELY a brothel…far out!!! 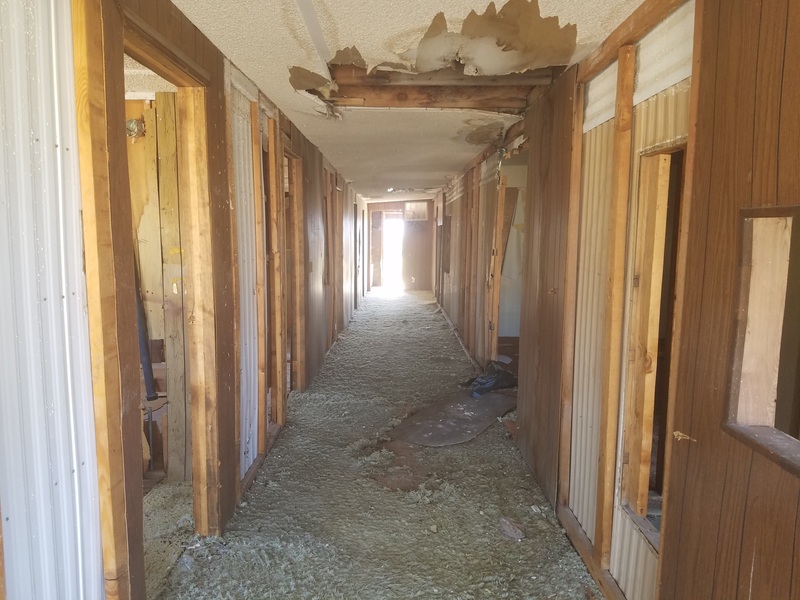 Exploring the rest of the building, I found that the other hallway was lined with more bedrooms — and with bathrooms, as well, which led me to suspect that this was the side of the building where the working girls lived. These days most functioning brothels have the women entertain their clients in the same rooms where they live; not so at Janie’s. Apparently, the madam here (allegedly a woman named Betty, although I couldn’t find much info about this place online) preferred to have separate living quarters for her ladies…this was a civilized whorehouse! Wandering through the rooms, I was struck by the relatively good condition of the place — the carpeting and decor all screamed 1970s/1980s, so it must have been sitting there rotting away for decades! But ruins last a long time in the arid desert climate…even though the elevation was high enough that it probably snows there in the winter. 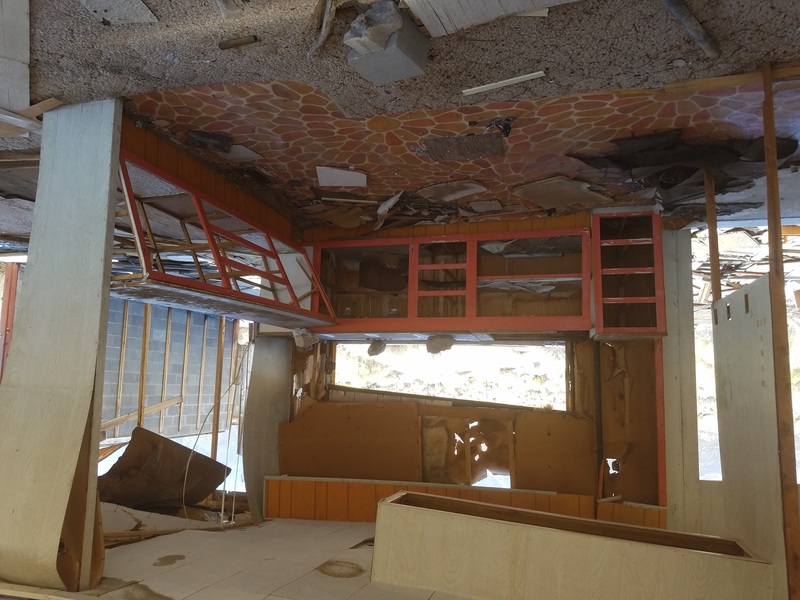 You could see traces of squatters and target shooters, but there wasn’t nearly as much litter and destruction as at other abandoned ruins I’ve explored — probably because this place is so freaking remote! I guess the kids over in Tonopah have better things to do on a Saturday night that drink beer and bust up an old brothel. Good for them! 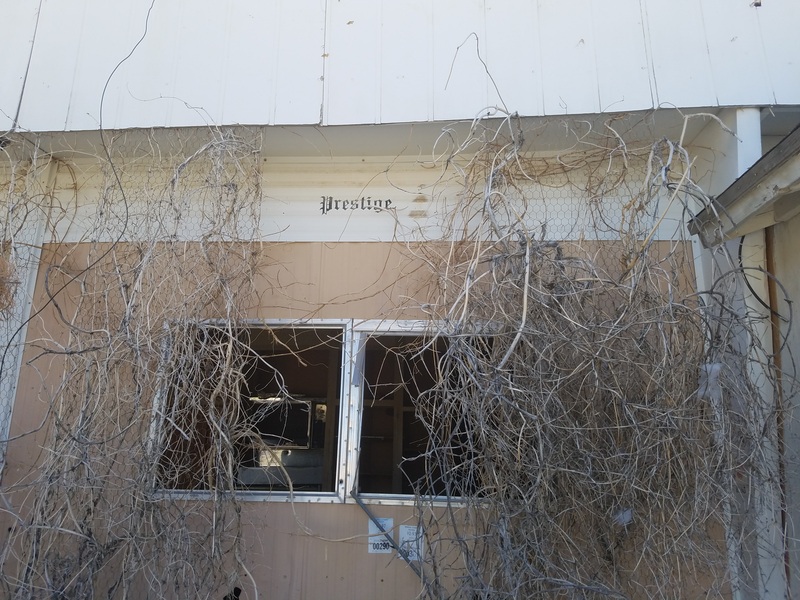 There were a few other outbuildings scattered around the property, mostly storage and utility sheds, and copious amounts of busted-up old junk every which way I looked. There were a bunch of busted TVs, computers, a scanner and a Xerox machine that all looked to be of a 1990s vintage…so who knows; maybe this place was open into the ’90s! Supposedly there was an airstrip at Janie’s, however (I saw no trace of it), so maybe the clientele mostly flew in. 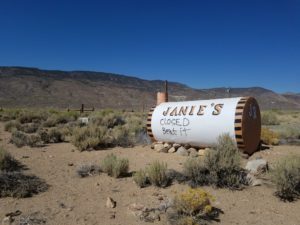 Or maybe the trickle of long-haul truckers passing through and the ranks of nearby miners were enough to keep Janie’s in business. Who knows? 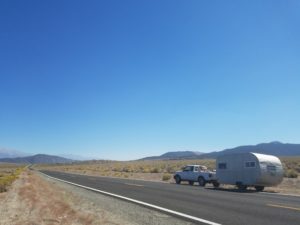 After leaving Janie’s and continuing along U.S. 6 for a few minutes, the highway went up over a mountain pass, at the summit of which was a sort of abandoned casino town called Montgomery Pass. 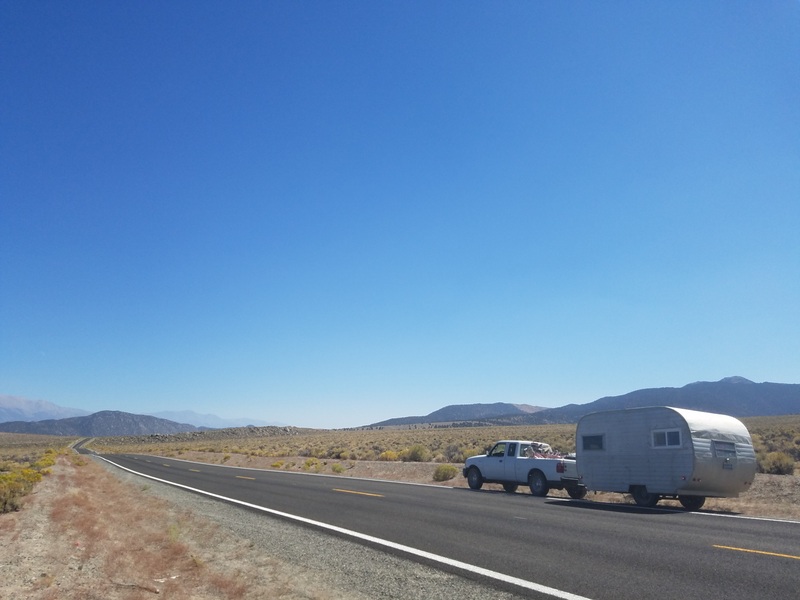 This town apparently once had a casino, a lodge, a motel and several bungalows and outbuildings that could have supported a population of at least 100-200 people, and apparently served travelers headed into or out of the eastern Sierra. Maybe Janie’s Ranch had a mutually symbiotic relationship with Montgomery, and its patrons were an additional source of business. Who knows? If anyone has any personal memories of Janie’s, whether as a customer, employee or neighbor….please comment below! I’d love to hear your stories.